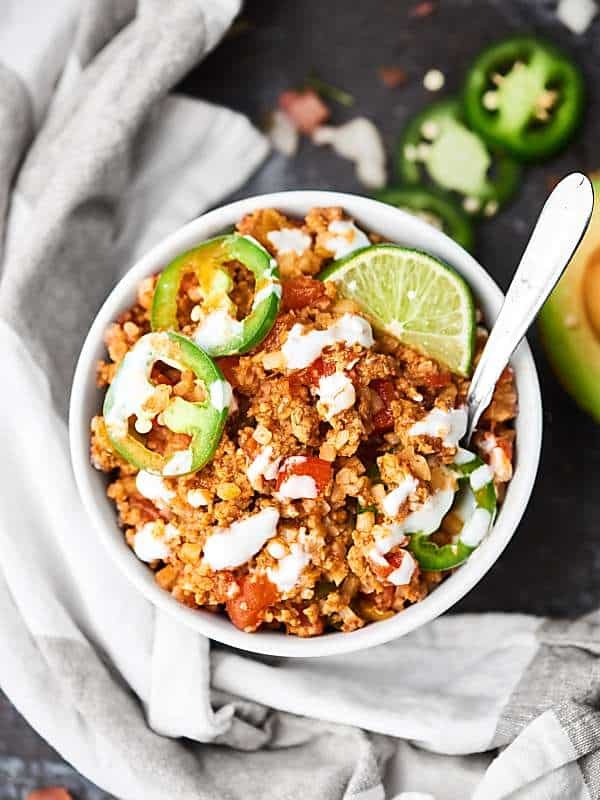 This Taco Cauliflower Rice Skillet is quick, easy, healthy, low carb, and absolutely delicious! Loaded with ground turkey or chicken, vegetables, and frozen cauliflower rice! 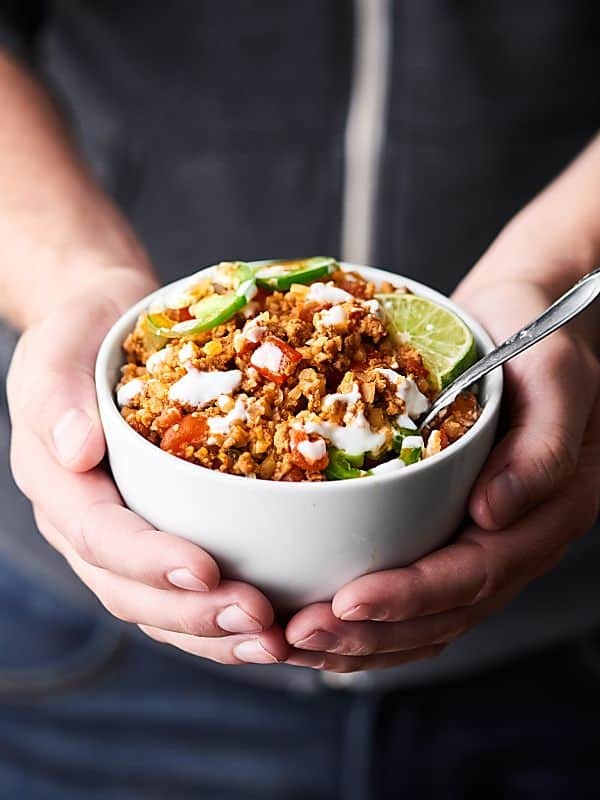 If this Taco Cauliflower Rice Skillet is your jam, you’ll also love: chicken cauliflower fried rice, cauliflower fried rice, and lemon garlic cauliflower rice. You guys KNOW how much I love Mexican food, right? Of course you know, because I say that at LEAST once a week. When Trevor and I were living in Seattle, Friday Night = Mexican Night. Bring ooooon the chips, salsa, and pollo en crema <– y.u.m. When I’m making Mexican food at home, however, I try to keep it at least sliiightly healthier, and today, I took it all the way, and made something ULTRA healthy. 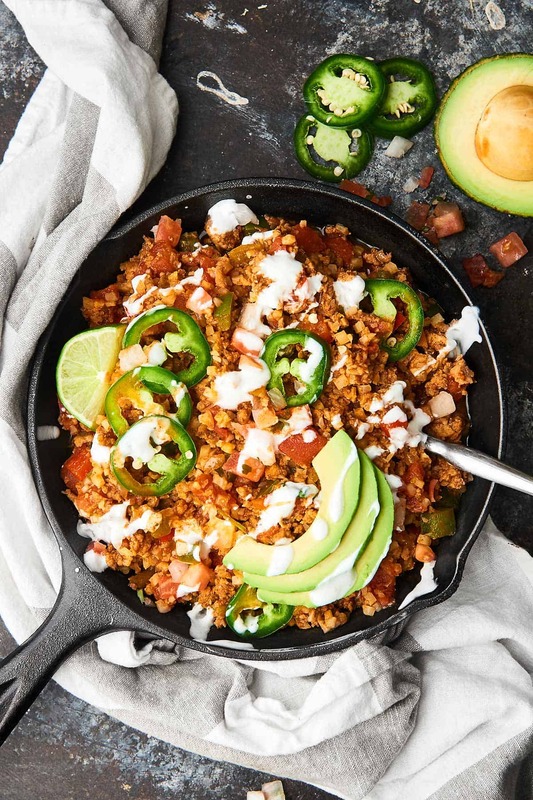 Bring ooooon the Taco Cauliflower Rice Skillet. Ok, so, this definitely isn’t authentic Mexican food. 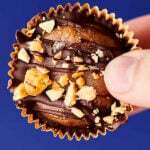 Plus, it’s super healthy, so there’s no guilt involved! Although, I never feel guilty for eating Mexican food, because it literally makes my heart happy. 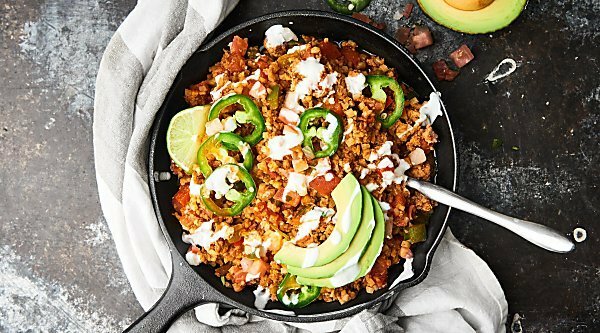 This Taco Cauliflower Rice Skillet makes my heart AND my body happy. It also makes my brain happy, because it’s extremely quick and easy to whip up. 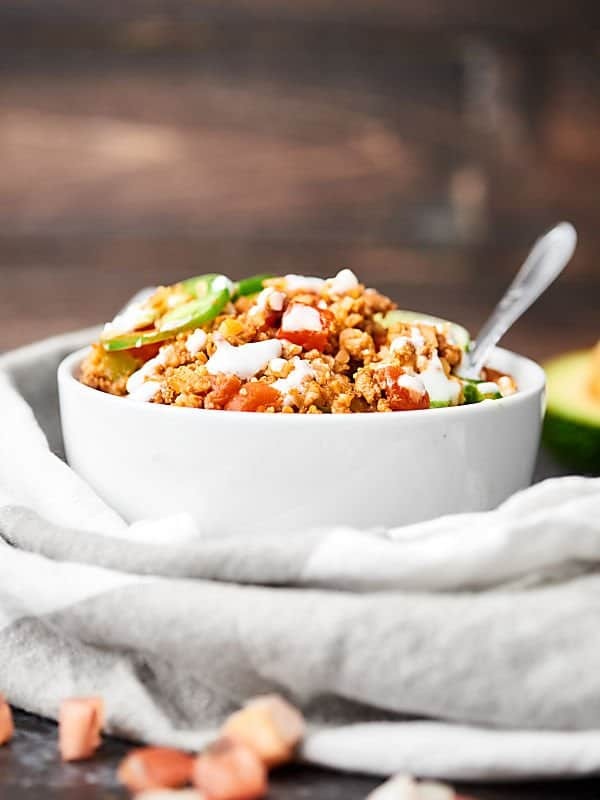 Throw some ground turkey (or chicken) into a hot saute pan (or a cast iron skillet) with diced onion, red bell pepper, green bell pepper, and two packets of your favorite taco seasoning. Once the meat is cooked, you’ll stir in a can of diced tomatoes, diced green chiles, a bag of frozen cauliflower “rice”, and some chicken broth. Let’s back it up for a second though and address the elephant in the room. 1 cup of cauliflower rice has about 25 calories vs approx. 215 for brown rice. 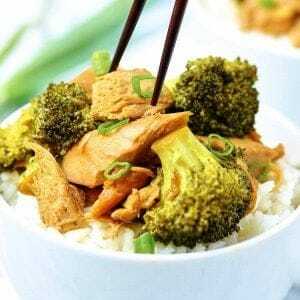 What are the benefits of cauliflower rice? Pretty much what I said above. It’s great to keep calories low and up the nutrients in any recipe calling for rice! Yes!! I personally prefer buying my cauliflower rice over making it myself. It’s easier, it’s more consistent, and heck, it tastes really good. You can find it in the freezer section . . . I always use the Green Giant brand. How do you prepare cauliflower rice? Although I prefer store bought, if YOU’RE interested in the homemade version, you can check out this cauliflower fried rice recipe for instructions on how I make my own cauliflower rice. Basically, cauliflower rice is super healthy and convenient and really does taste yummy. It’s a super bland base for all those yummy taco flavors we’re adding in today’s recipe. So. We all feel better about cauliflower rice? Let the mixture simmer for about 5-10 minutes, or until it’s warmed through and the “rice” is cooked to your liking. Season with salt, to taste and dinner is served! I also have plans to make some KILLER nachos with this. Quick. Easy. Healthy. Taco flavored deliciousness. Have you tried cauliflower rice? What should I make next with it? Show Me the Yummy! Heat a large non stick skillet over medium - medium high heat. Spray with cooking spray and add in ground meat, onion, bell peppers, and taco seasoning. Cook, breaking up the meat as you go, until the meat is cooked through, about 10 minutes. Once cooked, stir in tomatoes, green chiles, rice, and broth. Simmer about 5-10 minutes, or until heated through. Taste and season with salt, to taste and serve with your choice of optional additions! Do you have a good recipe for califlower rice? Love this healthy skillet recipe! Substituting regular rice with riced cauliflower is one of my favorite ways to sneak more vegetables into a meal! Wow this looks so yummy! I’m all about a healthier taco option! It’s authentic enough for me!! Looks delicious! Will definitely be fitting this into the weekly menu! Love this! I’m all for quick, easy, and healthy! I loveee frozen cauliflower rice, I always have a few bags in the freezer for easy dinner nights, it’s so convenient! We’re going to make this recipe for dinner on Taco Tuesday! Yum! I do too! It’s SO good and healthy!! 🙂 Thanks Stacey! 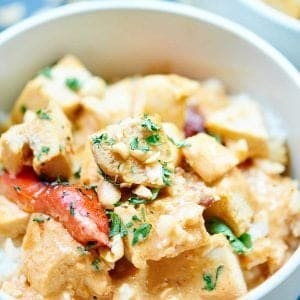 Kind of in need of a healthier meal at the moment…this looks perfect! 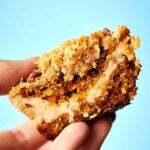 Just pinned this and will be making it soon, love different ways to use cauliflower rice. And I love Mexican food too! I needed something that could be made quickly for a short work week and decided to try this. LOVED it. I ate it gladly all four days. 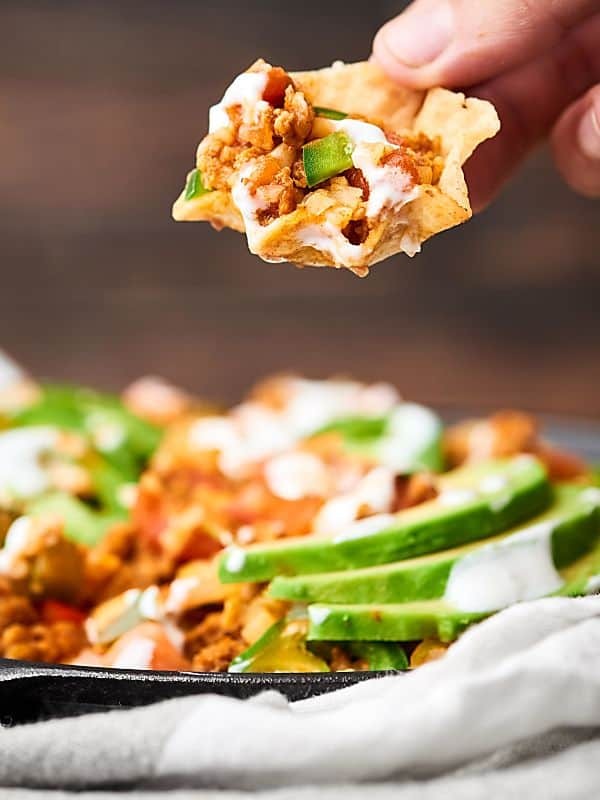 Depending on what I had on hand each day, I topped it with a combination of fresh tomatoes, shredded lettuce, green onions, avocados, powdered Cabot Vermont cheddar cheese and at one point, a few crushed Doritos. This is going in my permanent rotation. I just bought riced cauliflower at TJ so this is perfect. However, I’m taking a break from dairy for 2 weeks. Can this be made dairy free?